I received a letter yesterday asking about ‘Collards’, pictured above. “Hi Andrew. Collards, also called collard greens, are various loose-leafed cultivars of the cabbage plant. The plant is grown for its large, dark-coloured, edible leaves and as a garden ornamental, mainly in Brazil, Portugal, the Southern United States, many parts of Africa, Montenegro, Spain and in Kashmir as well. They are classified in the same cultivar group as kale and spring greens, to which they are extremely similar genetically. The Cultivar Group name Acephala (“without a head” in Greek) refers to the fact that this kind of cabbage does not have the usual close-knit core of leaves (“head”) of regular cabbage. 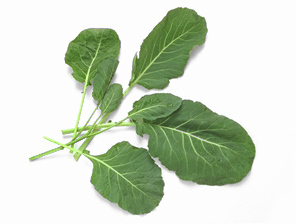 Collard leaves are rich in calcium, and as you have noted, are a staple of southern USA cuisine. They are often prepared with other similar green leaf vegetables, such as kale, turnip greens, spinach, and mustard leaves in “mixed greens”. So there is ample scope for replacement.